Billionaire George Soros is one of the savviest investors in history. Through a rigorous investment approach, Soros has made himself into one of the richest men in the world. He has also donated billions to help advance his causes and to make the world a better place. 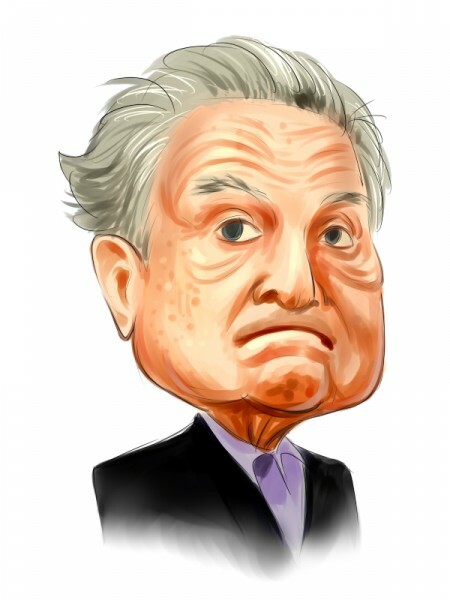 Given how savvy Soros is and how the government requires Soros’ fund to disclose some of its activity in the equity markets, let’s analyze 5 stocks Soros Fund sold in the fourth quarter. Soros sold out of his Devon Energy stake in the fourth quarter, selling 570,000 shares or 100% of his position. Soros’ fund may have been cutting their losses. Devon shares fell from around $40 to around $20 at one point in that quarter as the Iran sanctions situation didn’t turn out as expected and oil futures weakened. If he didn’t buy back in, Soros may have wished he kept his DVN shares. Devon energy shares have since rallied to around $33 as oil futures have strengthened and as M&A activity in the oil sector has increased. Soros sold more than 1 million shares of Marvell Technology Group (1,028,668 shares to be exact) in the fourth quarter, cutting his stake by 85% from the number at the end of Q3. Like Devon Energy, Marvell Technology Group shares also didn’t do as well in the fourth quarter as the market became concerned about soft demand for Marvell Technology Group’s storage chips. Like Devon Energy, Marvell Technology Group shares have rallied strongly in 2019. Shares are up around 46% year to date as sentiment has improved around the name. Investors now like the company’s networking business prospects and potential exposure to the growing 5G, automotive, and data center markets. Soros Fund cut its holdings in TRCO by 90% or almost 1,448,500 shares in Q4 as the company’s merger with Nexstar Media Group was announced in December. Soros Fund apparently has better use of its capital than to stick around to deal close. Besides Soros, 39 other elite funds that we track also owned shares of TRCO. Soros Fund cut it stake in AT&T by 51% in Q4 to 734,775 shares. At the end of 2018, that stake was worth $20.97 million. Although Soros may have cut his stake in the company, some investors are excited about AT&T’s prospects particularly given the company’s streaming prospects. Through its Time Warner acquisition, AT&T has a franchise in Game of Thrones in which it could make numerous spin offs. Soros Fund cut its position in EQT by 100% or 617,207 shares in the fourth quarter. Shares of the oil and gas company didn’t do very well in the fourth quarter, particularly in the month of October and natural gas prices have not met some bullish analyst estimates. Including Soros Fund, of the around 700-740 elite funds we track, 44 funds owned $1.32 billion of EQT Corporation (NYSE:EQT) on December 31, versus 45 funds and $2.48 billion respectively on September 30.